Welcome to the club! We're happy that you've joined us and we'd like to help get you settled in as quickly and easily as possible. Typically, the club will send 1-2 emails per week. We try and put all the key stuff that's going on with the club in it. We strive to get your contact info at practice, but sometimes we don't get it right so if you aren't getting the emails, then notify the club secretary at WesternSuburbsRFC@gmail.com. Western Suburbs is on Facebook. We have a page and a closed group; you should like the page and join the group, respectively. The informal club events often get on here quicker than anything else e.g., "Hey, I'm in Old Town Alexandria. Who wants to grab a pint?" Once at USA Rugby, select Register in the upper-right corner. 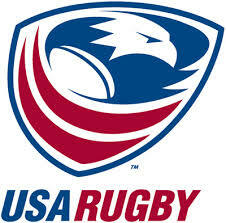 From there, select Join USA Rugby. Eventually, you will be asked to select your team, find Western Suburbs Rugby Football Club. We have learned that it's easiest to do this all in one sitting. Players who have gotten interrupted have had difficulty finishing up the process. The final item is the easiest, just let the coaching staff you know you want to play. You should consider practices as mandatory unless you tell one of the coaching staff that you can't be there.